2016 Mountain Quiltfest - Bear Camp Cabin Rentals. 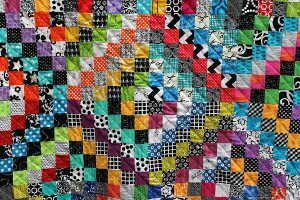 This year the annual celebration of quilting in Pigeon Forge, A Mountain Quiltfest 2016, celebrates it’s 22nd year. The 2016 Pigeon Forge Quiltfest will be take place March 15-19, 2016. By attending the event, visitors can admire the hard work, creativity and artistry that goes into the creation of these beautiful quilts. The Smoky Mountains have a rich history of folk arts and quilting, dating all the way back to the first settlers who called the area home. Today, A Mountain Quiltfest in Pigeon Forge, TN serves as a way to protect and preserve the timeless folk art. Do you quilt? If so this is an event you will not want to miss! Join us at Bear Camp Cabin’s Vacation Rentals and make it a weekend to remember. When you stay with Bear Camp you get the best amenities in the Smoky Mountains with amazing discounts to all the great attractions!